On Saturday, April 26 on Sound Stage 19 at CBS Studio Center in Studio City, CA, Celebration Theatre’s Vibrant Voice Awards benefit event raised $40,000 for the non-profit theatre, now in its 31st year. The evening featured original ‘Golden Girl‘ Betty White along with her Hot in Cleveland co-stars Valerie Bertinelli, Jane Leeves, and Wendie Malick reading an episode of The Golden Girls (“Blanche and the Younger Man”). The 2014 Vibrant Voice Awards were presented to Wendie Malick and Robert Forster, and there were special appearances by Sean Hayes, Tracie Thoms, Dan Lauria, Tim Daly, Max Greenfield, Millicent Martin, and Mary Wilson (of the original Supremes). 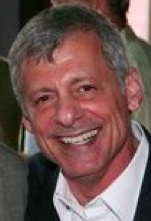 The evening was hosted by Michael Burger. The Vibrant Voice Award is presented annually in recognition of long-term support of Celebration Theatre as well as spreading the word about the work and mission of Celebration. Past recipients of the award are Leslie Jordan and Sharon Lawrence. Founded in 1982, Celebration Theatre is a community of artists dedicated to presenting innovative, provocative and relevant work that examines the gay, lesbian, bisexual, transgender and queer experience. It provides a supportive forum for professional and emerging writers, directors, designers and performers, giving voice to the full experience of gay culture. The theatre endeavors to challenge society’s perception of the community and give a vibrant voice to its evolving identity. Special Guest Sean Hayes and More! Celebration Theatre has announced its annual Vibrant Voice Awards benefit event, this year featuring original ‘Golden Girl‘ Betty White along with her Hot in Cleveland co-stars Valerie Bertinelli, Jane Leeves, and Wendie Malick reading a classic episode of The Golden Girls. The 2014 Vibrant Voice Awards will be presented to Wendie Malick and Robert Forster, and there will be special appearances by Sean Hayes and other stars to be announced. The Vibrant Voice Award is presented annually in recognition of long-term support of Celebration Theatre as well as spreading the word about the work and mission of Celebration. Past recipients of the award have included Leslie Jordan and Sharon Lawrence. Tickets for the 2014 Vibrant Voice Awards, Celebration Theatre’s 31st Anniversary benefit event, are available at three price levels. Gold tickets are $500 each and include priority seating for the show, an exclusive meet-and-greet with the stars, a souvenir poster, and priority entrance to the post-performance party on the set of Hot in Cleveland. Silver tickets are $250 and Bronze tickets are $100 (both include show and party). All ticket purchases are tax-deductible to the extent allowed by law. Tickets may be obtained online at www.celebrationtheatre.com or by phone at (323) 957-1884. Directing duties will be shared by Celebration Co-Artistic Director and Ovation Award-winner Michael Matthews and Ryan Bergmann. The evening will also feature a raffle for a walk-on role in a future Hot in Cleveland episode. 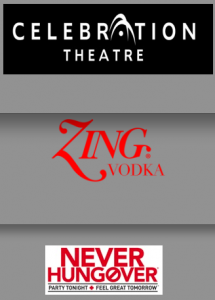 The event is produced by the Celebration Theatre Board of Directors and Executive Director Michael C. Kricfalusi, and is sponsored in part by Zing Vodka. The Hot in Cleveland sound stage is located at CBS Studio Center, 4024 Radford Avenue in Studio City. Complimentary parking will be available. Founded in 1982 and now in its 31st season, Celebration Theatre is a community of artists dedicated to presenting innovative, provocative and relevant work that examines the gay, lesbian, bisexual, transgender and queer experience. It provides a supportive forum for professional and emerging writers, directors, designers and performers, giving voice to the full experience of gay culture. The theatre endeavors to challenge society’s perception of the community and give a vibrant voice to its evolving identity.